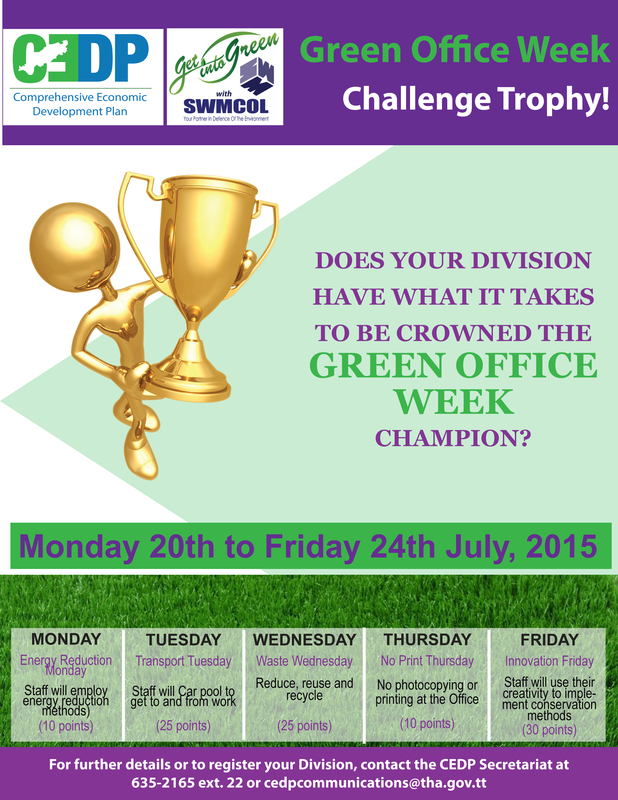 The Comprehensive Economic Development Plan (CEDP) Secretariat, is issuing a friendly challenge to all Divisions of the Tobago House of Assembly (THA) to join us in celebrating “Green Office Week” and is awarding a challenge trophy to the winning Division. The winner will be announced the following week and the prize is the coveted challenge trophy and bragging rights for the year. 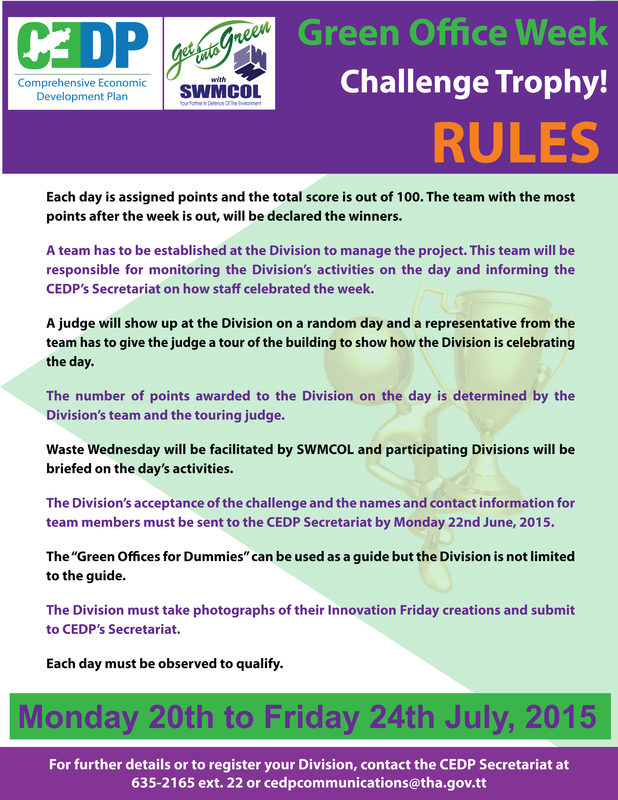 The Division’s acceptance of the challenge and the names and contact information for team members must be sent to the CEDP Secretariat by Monday 22nd June, 2015. Contact the CEDP Secretariat at 635-2165 ext. 23 or cedpcommunications@tha.gov.tt for more information. Click here to visit CEDP’s webpage.